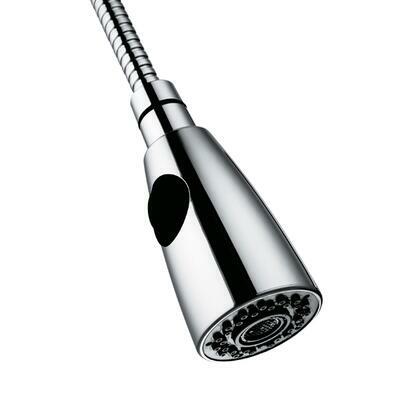 Retractable spout expandable up to 30"
Absolutely love having the pull down sprayer! We love our new faucet! Pull down sprayer that can reach all across the farmhouse sink, plus the looks is very beautiful. Just installed by my plumber. So far no problems with this faucet. Working great so far. Just remodeled looks really great. 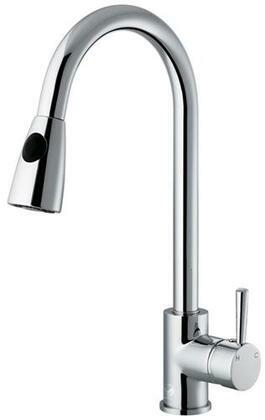 I had previously bought 2 bath faucets and I love them, so I ordered the kitchen faucet online. Love it! Same great design and quality. The way that it comes packed, it looks like a work of art. We bought it to replace our two year old kitchen faucet. We wish the pullout handle could be easier to pull out and to put it back everytime we use it. I bought this faucet for a kitchen remodel. It was professionally installed and I absolutely love it! 2 1/2 years after installation, the spray/stream option quit working. I contacted Vigo to see if I could purchase a replacement spray head and they replaced it free of charge when I submitted the receipt. They went above and beyond my expectations. I love their products and their business ethic. Great Faucet ... Great Service! We have loved our VIGO faucet since we bought it several years ago ... while cleaning it I tore the rubber cover for the sprayer selector. I went online to their website and was filling out a "contact us" form when a chat box opened and I told the rep what was going on. They are sending me a new part immediately for no cost! Great customer service and great product ... doesn't get better than that! We received our Vigo faucet as a gift from in-laws and discovered a problem with the spray head, probably from shipping. I called Vigo and they immediately sent out a replacement. The customer service person, David, was here in the United States, the part was sent to us instantly. It is really hard to find a beautiful product and this level of customer service these days. This faucet was easy to install and is working thus far. It is a little wobbly where the arch piece goes into the handle piece, but nothing major. Just installed this gorgeous faucet. It needs a large sink so that it doesn't look out of proportion, as it is a large faucet. Works well. Not sure if the soap dispenser will last very long... looks fragile.